The building has great character, and dates from about 1700. 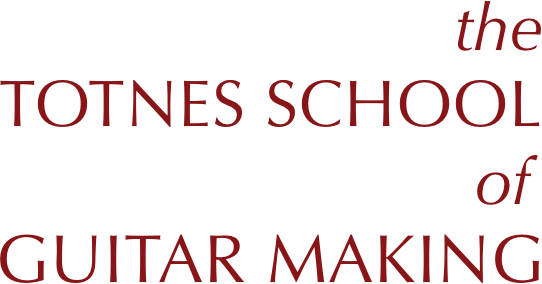 On two floors, it has housed the Totnes School of Guitarmaking since 1985. The upstairs is the main teaching area where students each have their own bench and tools; the downstairs, where Phil ran Norman Reed Guitars prior to taking over the running of the school, is now used by ex-student Alexandre Rock and also houses the stock with a wide selection of timbers stored in a humidity controlled area. 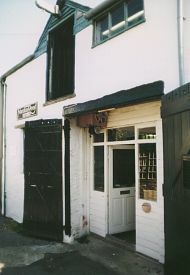 The workshop is near the centre of Totnes. All the amenities of the town are within walking distance. Totnes itself is a small, attractive, prosperous market town that has grown up on the river Dart at the highest point reached by the tide. Parts of the old walls, and gates, which outline the early settlement are still visible. A medieval castle commands a view of the town, the river, outlying country and the moors beyond. It has a long-held reputation as a lively, sociable town in which crafts, art and music have flourished. 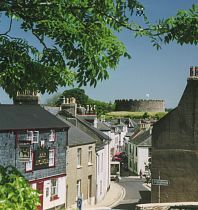 More information on Totnes and the surrounding area.